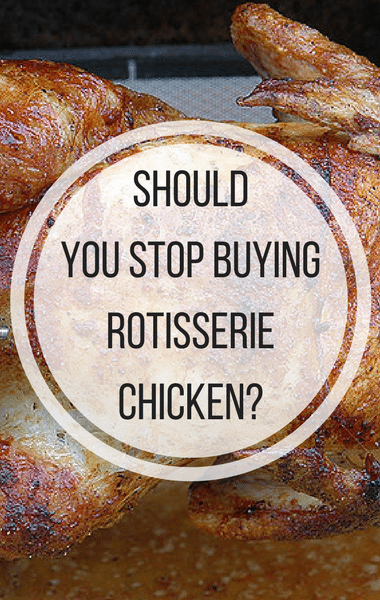 Dr Oz: Should You Buy Rotisserie Chicken? There’s no denying the rotisserie chicken is one of America’s favorite quick, cheap, and easy meals. There are approximately one billion rotisserie chicken sold at supermarkets and big box stores every year, but have you ever wondered how they’re sold so cheap? Investigative report Mark Schatzker went on a mission to find out how one of America’s favorite chickens is sold for so cheap. Mark first explained that a rotisserie chicken is typically cheaper than a raw chicken, by several dollars. You can usually get a rotisserie chicken for as little as $4.99. “If something seems too good to be true, it probably is, right?” Mark asked. Mark went straight to America’s number one source of rotisserie chicken, Costco, to find out if any of the rumors about rotisserie chicken were true. He met with a manager in hopes of getting some of his most pressing questions answered. First, are rotisserie chickens really just expired raw chickens? Particularly at Costco, their rotisserie chickens come from an entirely different source than their raw chickens. It was explained that rotisserie chickens actually cost more than what Costco charges its customers, with the idea that when someone comes in to get a chicken, they will also purchase items that will make them money.